British protege George Russell has been crowned the 2018 F2 champion after winning a dramatic penultimate race of the season in Abu Dhabi. 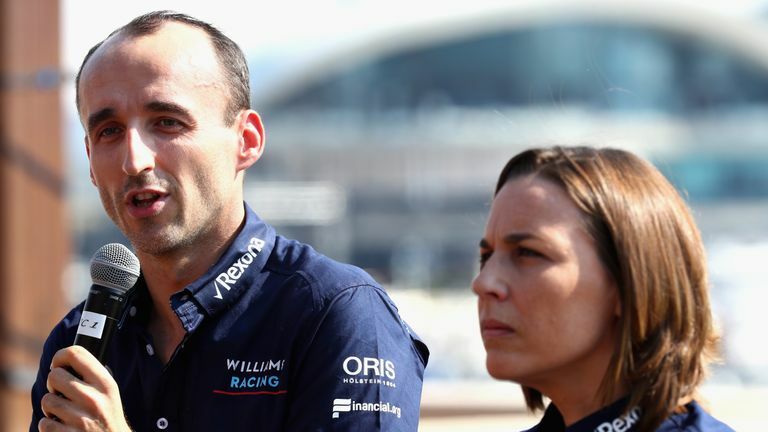 Alexander Albon needed to win Saturday's Feature Race to have any chance of stopping Russell, but stalled from eighth on the grid before his stationary DAMS car was clattered into by Nicholas Latifi. Albon somehow managed to continue in the race after the Safety Car, unlike Latifi, but could only finish 14th. Pole-sitter Russell, meanwhile, cruised home to take the chequered flag and win the title for ART in his debut campaign. He has also become the first Briton to win the feeder series, previously known as GP2, since Jolyon Palmer in 2014 - delivering the perfect send-off before he joins the F1 grid with Williams. Russell, a Mercedes junior, will partner Robert Kubica at the iconic Grove team next season. 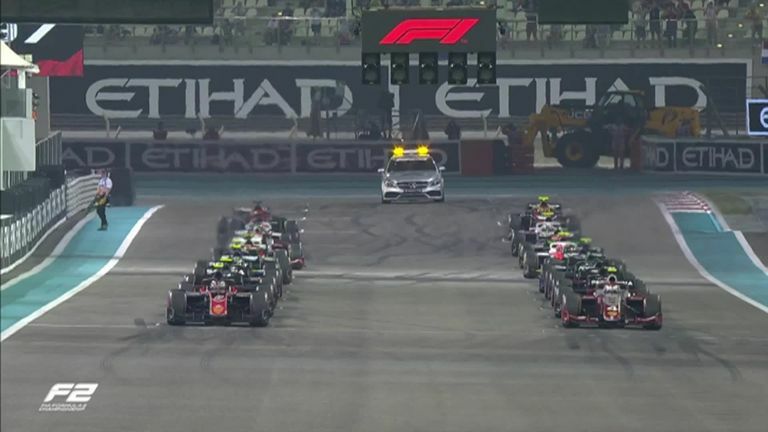 Highlights of the first F2 race from Abu Dhabi. Russell has been quick and consistent this season while also displaying immense maturity that has impressed F1 bosses. "He's an intelligent guy, he's driving fast and I think this is the future," said Mercedes chief Toto Wolff. He has won seven races and has claimed an additional four podium finishes. Russell had been challenged by countryman Lando Norris, who is also making the step up to F1, for much of the year but the McLaren youngster has fallen away after a strong start, failing to win a race since the season-opener in Bahrain. 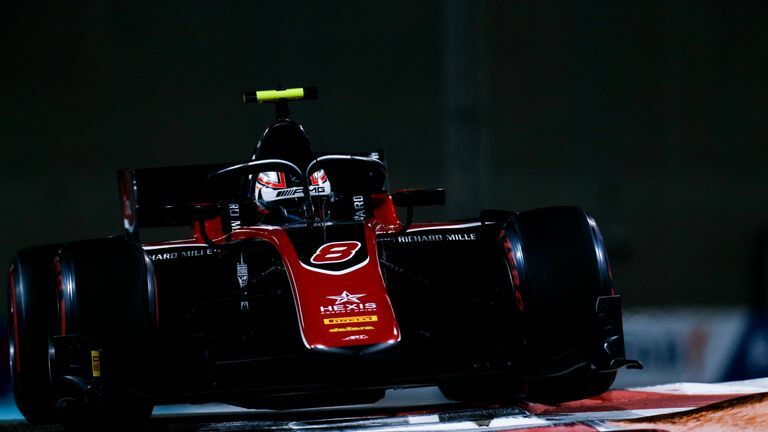 Instead, it was Albon who became his main rival, with the British-born Thai driver, heavily linked with Toro Rosso, enjoying an impressive late-season surge. But Russell kept his nerve in the season finale, and will hope his impressive rise continues in 2019. 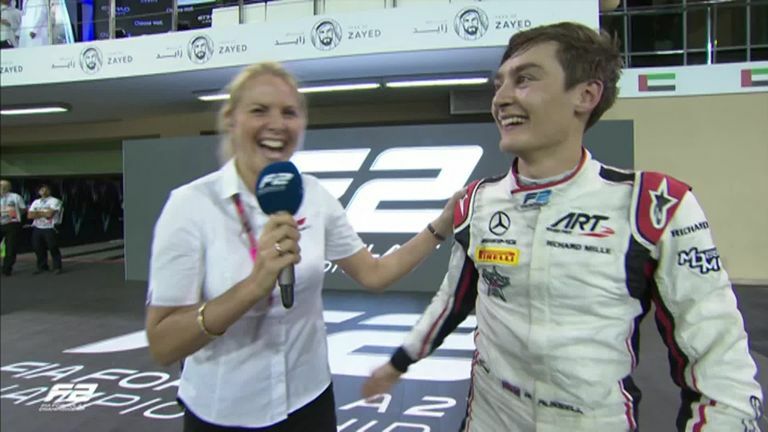 Top three reaction from the first F2 race, where George Russell was crowned the F2 champion.